With more than forty years experience and a truly global presence (in around 150 countries), Porcelanosa Grupo understands the importance of design, innovation and technology to well-being, health and happiness. 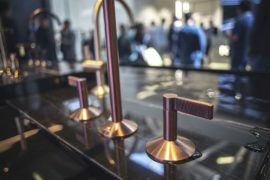 The Group’s eight companies offer a wealth of high-end kitchen and bathroom solutions, for both indoor and outdoor environments. 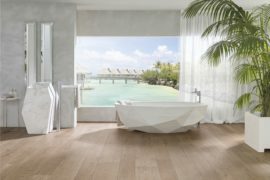 In this article, we show how products by Porcelanosa, Urbatek and Noken (three members of the Porcelanosa Group) are able to reshape and transform an outdoor space, offering smart, cosy and vibrant living and bathroom solutions. 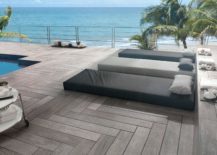 By combining the appearance and tactility of wood with the strength and durability of ceramic, Porcelanosa’s Par-Ker ceramic parquet offers the ideal surface solution for outdoor (as well as indoor) spaces. Characteristic of wood—with its grain, texture, warmth and colour—Par-Ker has a great many design possibilities. 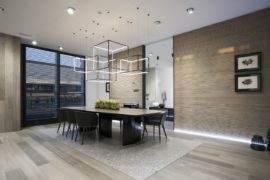 A truly pleasing collection of ceramic parquet, Par-ker flooring includes Ascot, Chester and Oxford finishes: all have a close affinity with nature. 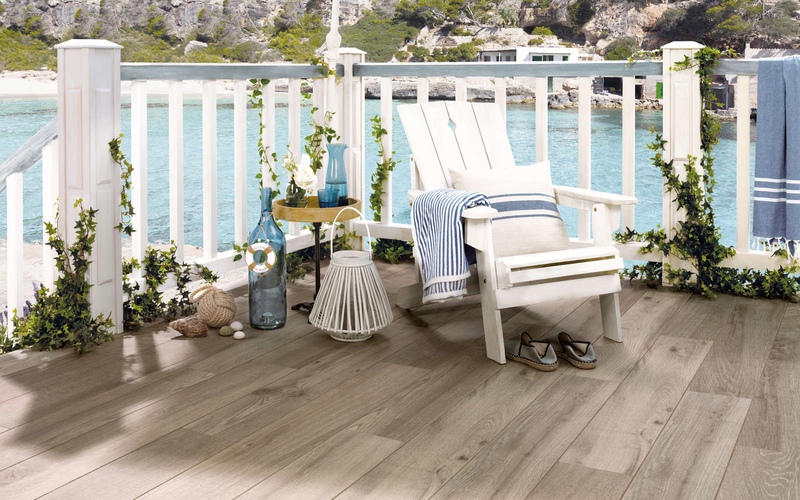 With its dual application—as both flooring and cladding—Chester Antracita anti-slip adds an eye-catching wood effect to this tranquil outdoor space. 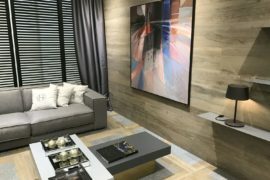 Par-Ker is Porcelanosa’s first ceramic parquet, and has been leading the field for more than thirty years. Highly sophisticated and innovative, Par-Ker provides flooring and cladding solutions for a number of outdoor environments. 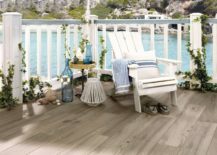 By drawing inspiration from wood’s finest qualities, the Par-Ker collection is an original and versatile product with an exceptionally realistic wood effect. 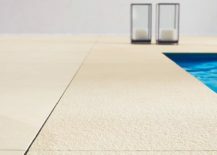 In this wonderful poolside oasis, Oxford Antracita anti-slip flooring is the perfect way in which to prevent any unlucky falls—it offers prevention in the most aesthetic manner. 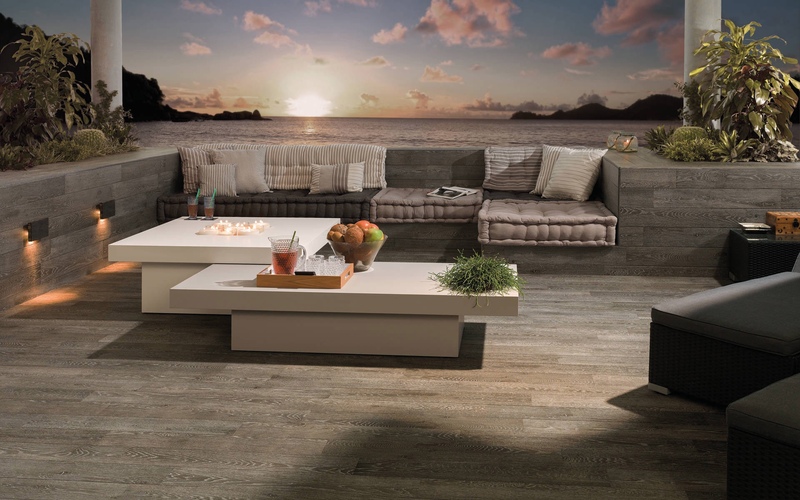 Par-Ker ceramic parquet is entirely fire resistant, durable and non-slip. Its anti-humidity properties and effortless maintenance ensure it is ideal for outdoor terraces, pools and patios. Resistant to the warm summer sun or a biting winter wind, Par-Ker copes well in all weather conditions—from the mildest to the most extreme. 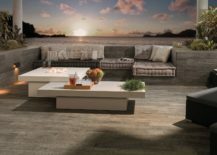 Ascot Olivio flooring is an ideal for this quiet terrace setting. Urbatek’s STUC tile brings the raw beauty of sandstone to porcelain tiles. 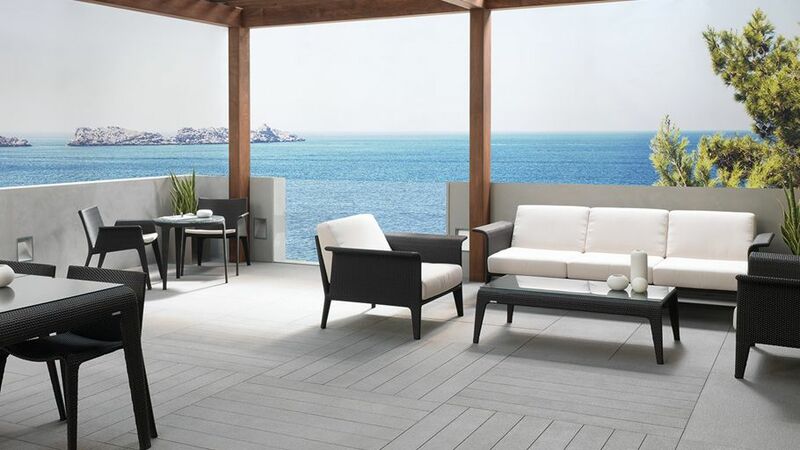 Combining resistance and quality, STUC is a through-body tile that is ideal for a terrace setting. Clean and minimal, STUC is available in four modern colours—beige, white, grey and black—with a range of finishes—polished, nature or texture. STUC is available in a range of finishes and textures. The STUC collection is inspired by nature’s array of captivating sandy beaches: from the fine white sand found on Australia’s beaches to the dark volcanic sands of Hawaii; from the golden sands on Andalusia’s beaches to the grey sands of the Canary Islands. 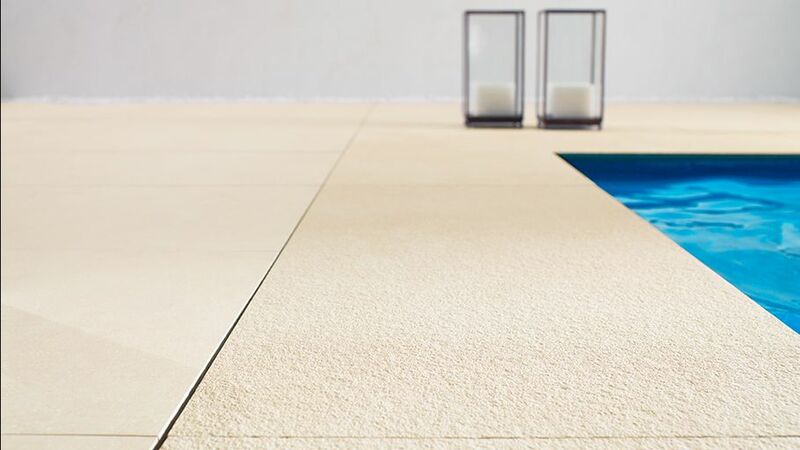 As an outdoor flooring solution, Urbatek’s STUC tile offers a high resistance to extreme temperature, humidity and the damaging effects of frost, as well as an in-built anti-slip solution. 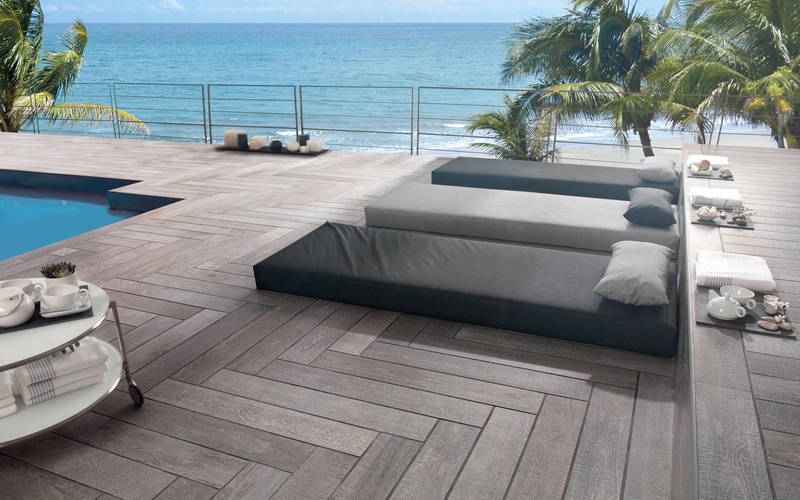 Urbatek’s STUC tile is the ideal solution for any contemporary terrace. A manufacturer of innovative, imaginative bathroom wares, Noken is known for its singular attention to detail, with an eye on great design and a commitment to the highest quality products. 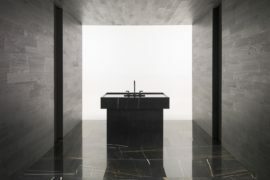 As an ever evolving space, the bathroom is increasingly a focal point in the home and one that inspires the creative minds of designers and architects. Luxurious outdoor bathing and Wellness Sensations. 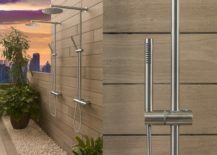 An outdoor bathing space is a wonderful luxury and as such, Noken has developed a range of innovative outdoor bathroom equipment. 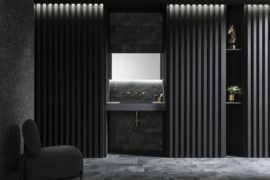 Emphasising comfort and ease of use (with an integrated touch panel for example), the new bathtub designs are centred around an enhanced user experience. 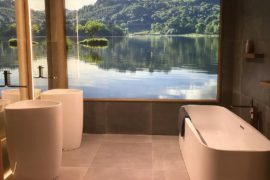 With Noken’s cutting-edge Wellness Sensations, whirlpool bathtubs include a rather smart backlit glass and keys that change the colour depending on the chosen programme. 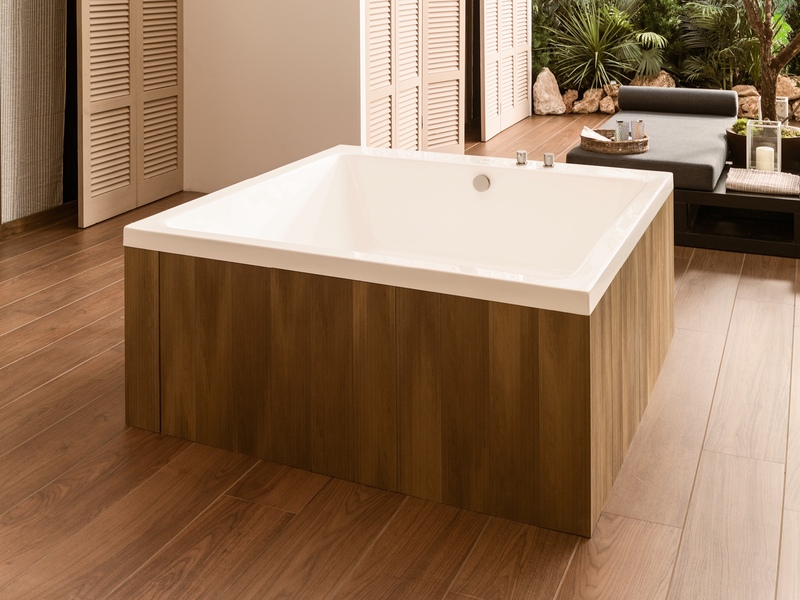 Bathtubs are available in a range of combinations: Hydro, Fusion, Evolution and Music. As a result, the Wellness Sensations bathtubs use the latest technology to provide hydrotherapy, chromotherapy and music therapy treatments, alleviating physical ailments, stress and anxiety. Hydrotherapy—defined as ‘water therapy’— will relieve discomfort and promote emotional and physical health, offering therapeutic features to tackle muscular ailments and stress. With chromotherapy, light and colour will balance energy and encourage a better connection between body and mind. Music therapy will help to reinvigorate the senses, benefiting emotional, mental and physical well-being. 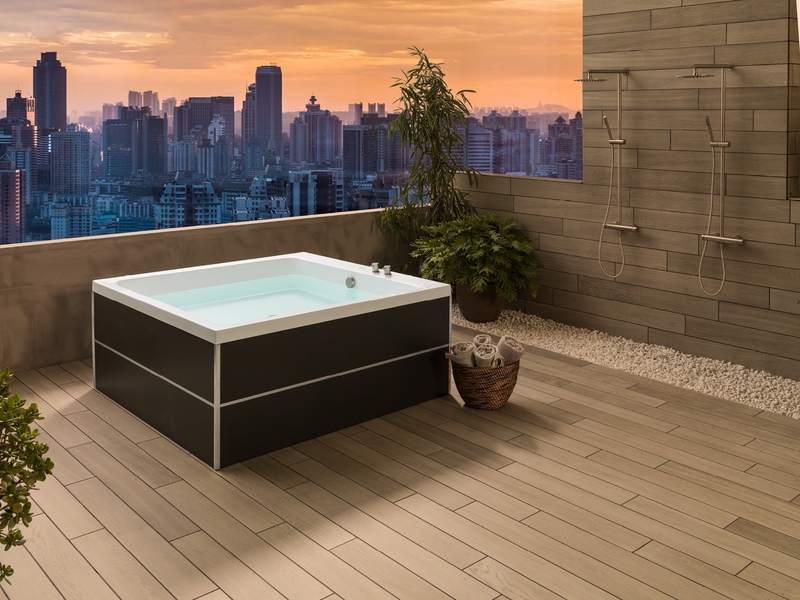 And with Bluetooth technology, any smart device can be connected with the bathtub, cleverly emulating the vibration of the music in the water. Inspiration for outdoor bathing with Noken’s bathtub and showers. 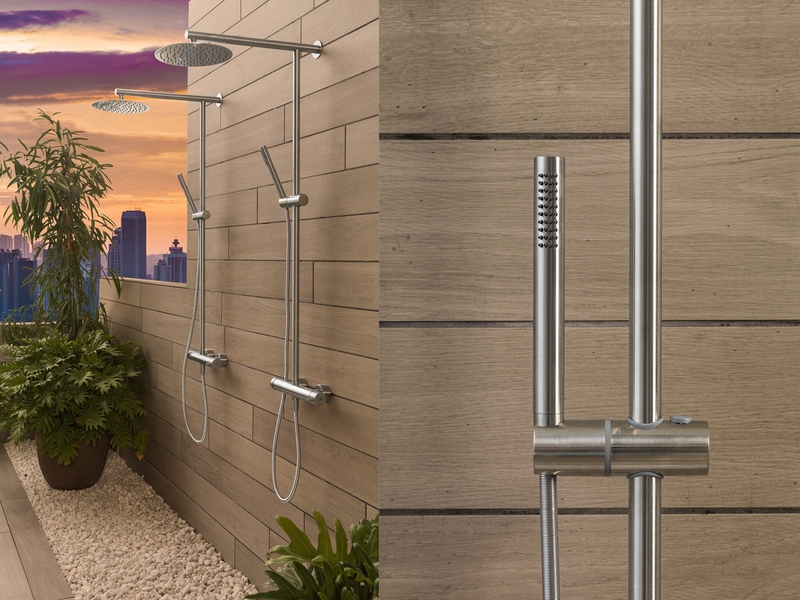 Noken’s outdoor stainless steel showers are minimal and striking in their appearance—they are made up of a two-way mixer, a wellness shower head and hand shower. The outdoor shower offers a quick and convenient way in which to cool down and wash off, especially on those hot, humid days. What’s more, Noken’s shower fittings can offer hydrotherapy and chromotherapy treatments, using water jets and colour. Noken’s minimal outdoor shower head and hand shower combination. All images © 2018 PORCELANOSA Grupo A.I.E.